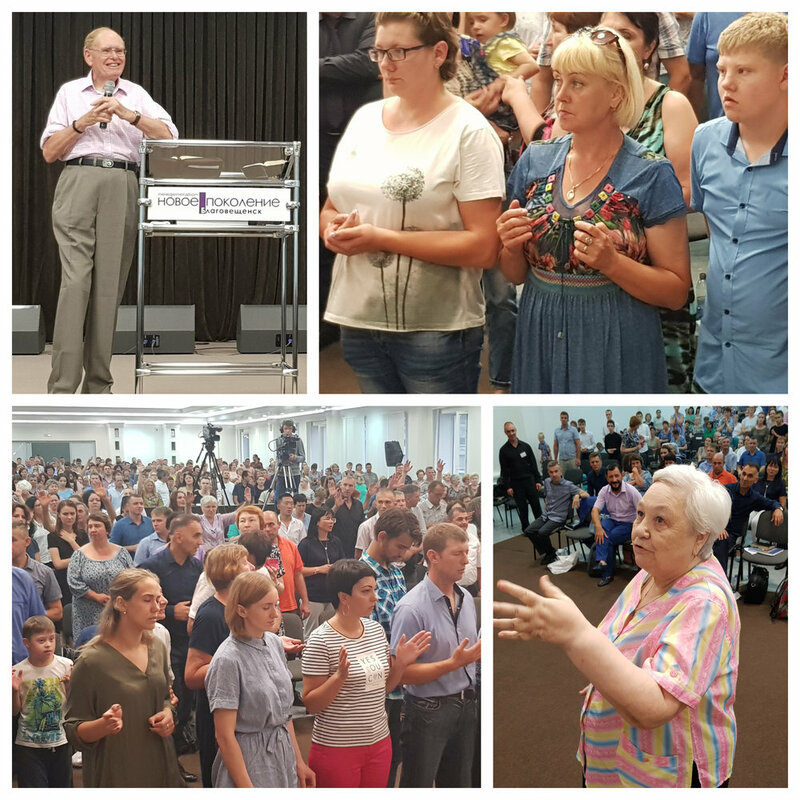 On 21 July David ministered in the far side of Siberia, in Blagoveshchensk on the Chinese border. He was invited to hold a conference to set the whole region on fire with the Power of the Holy Spirit, a greater fire than the revival fire which burned in the 1990s. Pastors and leaders stepped out of the pages, as it were, of David's book 'Why Siberia? ', (the amazing account of what God did in just 3 months' miracle ministry in summer 1994). They gathered from all over this vast region, from Magadan, the notorious communist death camp in the frozen north, from Vladivostok, the point of deportation of prisoners by ship through the ice flows to Magadan, from Khabarovsk, a transit city on the Trans-Siberian Railway, from many towns and villages where David laboured to preach the Gospel so intensively following the collapse of the Soviet Union throughout the 1990s. Professor Diskin, a cultural advisor to President Putin, told David in October last year that it was only the preaching of the Gospel which saved Russia out of the chaos of those early days. But now a great fire fell, a new mighty empowering of the Holy Spirit. The 1000-seater hall was packed for the evangelism on the Saturday night, the people repented in tears and God worked outstanding miracles of healing: eyesight restored, broken arms healed, slipped disc, crippling arthritis – all healed – the Word confirmed by the miracles following!